Often times, during your travels, you may find yourself needing an extra backpack or small daypack. That is especially if you’re a light traveler or a backpacker and you don’t intend on bringing too many bags in an effort to keep your luggage light. In that light, you may find that a packable daypack can be your best friend. Packable daypacks are simply small backpacks that are compressible and can be stowed away in an extremely compact manner; usually a tiny 5” x 5” pocket. This article depicts the six best packable daypacks we would recommend. Packable daypacks are a smart addition to your luggage since it basically doesn’t take up any significant space, practically weighs close to nothing, and can unfold into a regular-sized daypack that you can use during day hikes if you don’t want to be lugging your main backpack around with you. Not to mention, having a packable backpack with you on your travels can save you some very costly overweight fees. If your luggage weighs more than the airline permits, you can simply unfold your packable backpack to transfer some of your luggage from your main bag to your packable pack – in which case, it serves as a carry-on – and take it with you on the plane instead of checking in and paying for the extra weight. 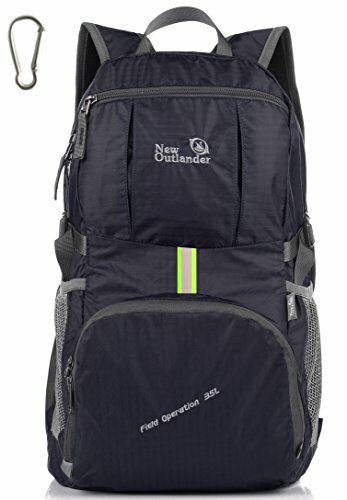 What Makes a Good Packable Daypack? Like all backpacks, packable daypacks need to have certain features that allow them to maintain their integrity while providing function and comfort. 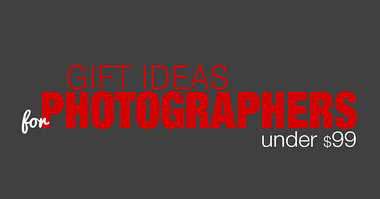 We’ve highlighted all the main features you should look out for before choosing your pack. Unlike regular backpacks, packable bags have a crucial feature that makes them more preferable, especially for lightweight-travelers or hikers. A packable backpack has the ability to fold into a compact and lightweight pocket; the smaller it can fold up, the better it is at doing its job. 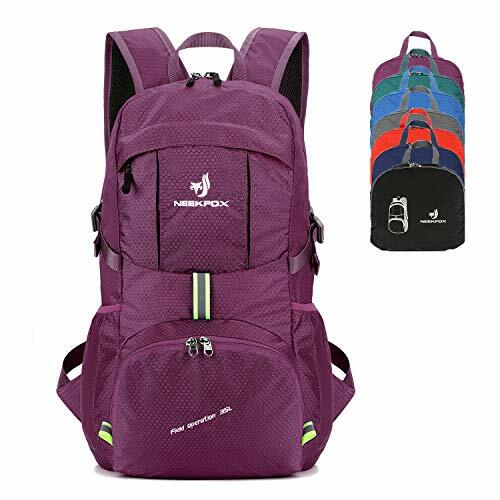 Most backpacks are made out of thin materials and are frameless making them super easy to scrunch up or fold down and tuck into a small space like cargo pant pockets or their own custom sleeve. This not only means that they practically take up no space, but they also weigh close to nothing. This takes out a lot of concerns when addressing the issue of packing for a short day trip within a longer trip. Also, on the flip side of a compactly packed bag, packable bags usually offer the same carrying capacity of regular backpacks of the same volume. 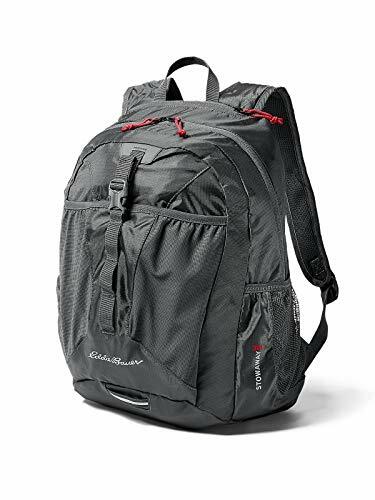 This along with the fact that you can tuck this kind of pack with you whenever and wherever you go eliminates the need for a regular daypack on your hikes. So the best packs are usually the ones that can fold down to occupy the least space while simultaneously offering an expansive carrying space when unfolded. 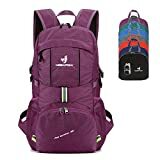 Along with the benefit of how tiny these bags can be, they also virtually weigh nothing in comparison to regular backpack; with most packable backpacks weighing under a single pound. This allows travelers to pack these bags within their main bag without worrying about any excess weight. The reason most of these backpacks weigh so little is that they are made out of very light materials. Nylon, for example, is a very common material that is usually used in manufacturing these packs due to its functionality. The best packs combine lightness and sturdiness in their choice of materials. Manufacturers also keep in mind that any added features to the pack can add to its weight, so manufacturers that can successfully add more features whilst maintaining the light weight and strength of their packs are able to produce the most desirable bags. With the fact that bags that are lighter often are more subject to wear than those that are sturdy, the durability of packable bags comes in play. The best packs are made to withstand repetitive use without compromising their integrity or suffering major damage. A good packable bag does not simply highlight its size and weight and not pay any attention to its strength or resilience to circumstance. A good pack cannot be flimsy or else it negates the whole point of its function. The zippers on most packs are made out of metal because of its sturdiness and low chance of breakage. The best packable bags also do not easily rip, sag, or break because proofing and reinforcing are being paid attention to. In the packs we recommend, we’ve included bags that repel water, resist tearing, and include RipStop technology in their nylon. What makes a packable bag stand out, other than its function as a daypack, is how personalized the pack is. This largely depends on your personal needs and how and where you intend to take your pack, but generally, the more compartments a bag has, the more versatile it is. You have to keep in mind that there is no point in having many compartments and pockets if none of them is big enough to carry your belongings. For example, if you plan on carrying a small laptop in your pack, you’ll have to make sure that the main compartment is big enough to accommodate it. However, having several compartments or pockets in your pack would help tremendously in keeping your stuff organized and within reach. For instance, some of the packs we’ve included come with side mesh pockets to hold your water bottle on the outside of your pack making it simple and easy to grab on the go. This Osprey pack is the lightest we’ve encountered so far weighing a mere 4 ounces. Along with its aesthetic design, like all Osprey packs, this packable backpack features Osprey’s top quality. 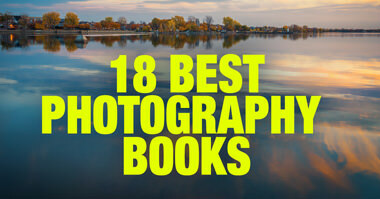 It packs neatly into a built-in carry case that keeps it compactly tucked during its downtime. Unfolded, this pack can carry up to 18 liters in capacity and in addition to a roomy main compartment, includes three external pockets – one of which is a stretchy side pocket for your water bottle. Like most Osprey packs, this one is also made for adventure since it’s made out of water-resistant RipStop nylon which makes it the perfect companion on your day expeditions. It also features an air mesh harness for added carrying comfort. Gonex is known for its unbeatable durability when it comes to backpacks; combining that with this bag’s design, this pack offers the best of both worlds. It can pack down into a small sandwich-sized pocket and unpack into a 20-liter daypack that, like the Osprey, weighs a mere 4 ounces. 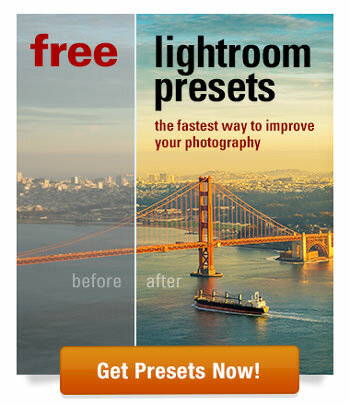 If it weren’t for the superseding quality built into this pack, it would have been ranked the lightest on the list. It comes with two nylon mesh pockets and it’s entirely made out of water-repelling and tear-resistant nylon. That, along with its reinforced abrasion-resistant SBS metal zippers make it suitable for any outdoor activity. This 20-liter backpack weighs about 0.7 lbs and packs neatly into a compact front zip pocket for stowing. It features many pockets including two external zippered pockets and other attachments that make it highly versatile and suitable for nifty adventurers. 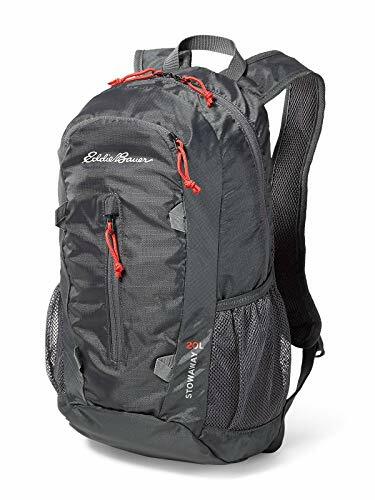 In order to sustain its integrity while you take it on your expeditions, this Eddie Bauer model is made out of 100% 200D RipStop polyester and is coated with a StormRepel finish to shed moisture. So this pack is versatile, durable, and water-resistant making it the perfect adventure buddy. Features two lightly padded and adjustable straps to comfortably fit different users. This pack is not washing machine friendly and should only be spot cleaned. The Outlander pack is boasted for being the most spacious for its capacity on the list and maybe even the market. The manufacturers claim that you can pack 28 of these bags within one of them highlighting how compact and spacious their pack can be. The pack folds into an included inner zippered pocket and unfolds to a pack with a large main compartment, two front zippered pockets, and two side pockets for accessories. It weighs as little as 0.7 lbs and can hold up to 35 liters in capacity. The pack is made out of rip-resistant and water-resistant nylon and features a two-way abrasion-resistant SBS metal zipper. This pack features the most included pockets on the list making it suitable for those that need their belongings separated and organized for quick fetching. It includes two front zippered pockets, two internal pockets, and two mesh side pockets; all this and still weighing under a pound at only 0.9 lbs. The bag features 35 liters of internal space and can be folded into its own zip pocket. The zippers are abrasion-resistant two-way SBS metal zippers and the straps are lightly padded and are adjustable to fit different users. The pack is also water-resistant and is made to shed moisture. Our most practical pack features 30 liters of capacity and can fold down into its own pocket. It’s the most practical bag basically because it’s sturdy and doesn’t include any of the unnecessary fluff to keep things simple. It’s made out of RipStop polyester like the 20-liter model and includes a Velcro pocket on the back panel. Like the 20 liter model, this pack is not washing machine friendly and should only be spot cleaned. 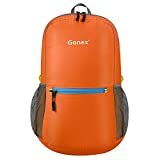 I would personally go for the Gonex packable daypack simply because it integrates all that I need in one pack. It provides quality with the advantage of lightness and divided compartments while maintaining its compactness at a very reasonable price. 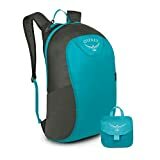 A runner up can be the Osprey pack; slightly more expensive but still offers high value especially for travelers than worry about weight and want an extra daypack for their hikes.